This adorable condominium at The West in Steamboat Springs is directly across the street from a world-class resort and maintained with care. 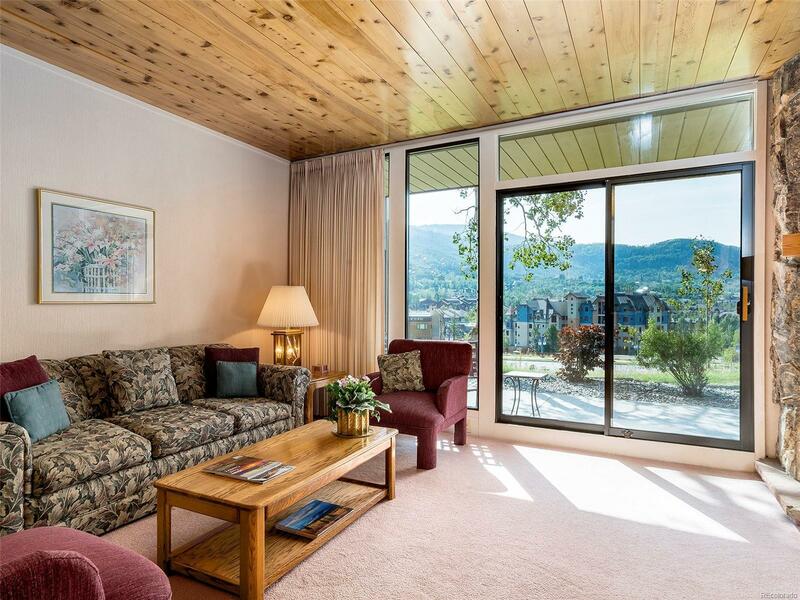 Experience the bliss that stems from the outdoor beauty of having a ground-floor, walkout covered patio with views spanning from the Steamboat ski area to the Flattops mountain range. The living room is highlighted with a magnificent moss rock fireplace hearth, tongue-n-groove ceiling and an abundance of natural light. The kitchen is designed to be open to the dining and living areas and includes a rather large storage area just perfect as a lock-off owner’s closet. The upstairs bedrooms feature soft lighting and a “country cottage” themed décor. An additional outdoor storage closet makes a perfect option for stashing your skis, snowboards, bikes and other gear. At The West, owners and guests enjoy an outdoor heated pool, hot tubs, on-site front desk and other services. A Rollingstone Golf Course membership is included (with transfer fee).